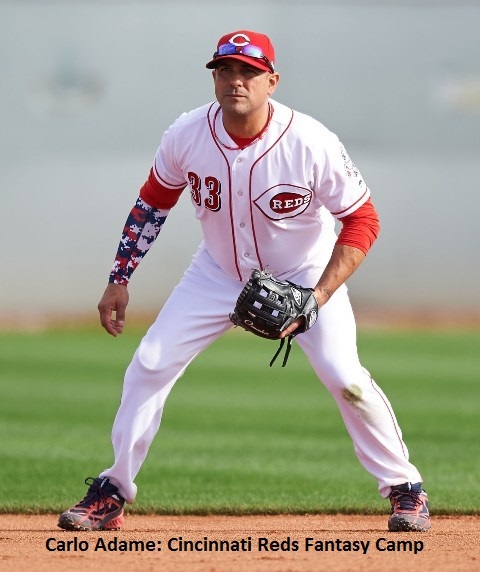 Carlo Adame is a military veteran who plays for the Louisville Slugger Warriors Amputee Baseball Team, the official MSBL charity and a frequent participant in MSBL national tournaments. Carlo will be a part of the LS Warriors team that is entered into the 2018 MSBL World Series in Arizona in October and he has also participated in the Cincinnati Reds fantasy camp in Goodyear, Arizona, earning MVP honors. manager David Van Sleet sent us an update and a note from Greg Davidson, Carlos’ contact in the prosthetic world. We look forward to seeing Carlo, David and the team in a couple of months! Below is Greg’s note to David. Added Carlo, “Greg Davidson just made me two new legs and WOW! I honestly love the fit of the legs that Greg has built for me but the performance of the newest design is AMAZING! I believe it’s called the modified cheetah extend. 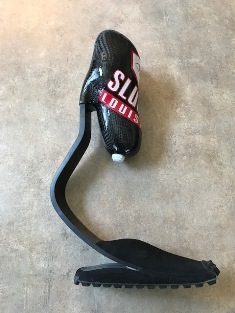 This leg is worn without a shoe but can be made to work with a shoe. With this model my agility is better than ever and it’s the next best thing to a real leg. Right now I’m seriously wowed by how awesome this prosthetic is. I’ve been an amputee for almost seven years now and I have been with Greg for about four years. Greg Davidson is by far the best in the business. I say that with extreme confidence. 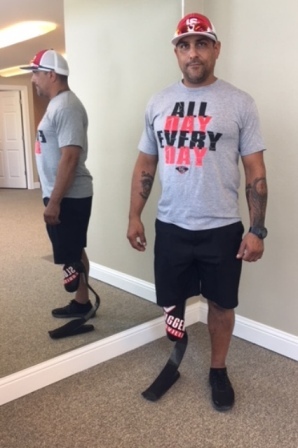 I’ve seen several Prosthetists over the years and been to amazing state of the art facilities with great prosthetists and Greg Davidson is hands down without a doubt, THE BEST!